It was then Ankrah that said “All right, let us shake hands”. Biafra History.. please share, and also keep a copy for your children to appreciate their hero’s.. especially for Gowon from the words of Ojukwu. The coup of January 15, 1966 caught me by surprise. The first thing that hit me was-here am I in the northernmost part of Nigeria surrounded completely by troops and I have not even tried to find out their allegiance. The telegram they informed me about the coup came to me at the parade ground. The first thing was to try to get some sense from Lagos for about 14 hours I called numbers, but people were telling me nothing. I did not realize the suspicion everybody had in everybody. I suppose it was my persistence that got Ironsi [the late Supreme Commander of former Nigeria] to speak to me. He told me what actually happened. He said that the Cabinet [the disturbed civilian federal government] was meeting. The federal government later handed over power to the army to stabilize the situation. I found this extremely confusing. Nobody knew where any other person in the Army was. After that announcement I got on to Nzeogwu [one of the leaders of the coup], then in Kaduna, and said, “ You are now famous. You should now demonstrate to the world that you have no personal motive in the coup. Now that the G.O.C has called, all you have to do is to get back into line.” Before then there had been friction between Nzeogwu and myself because I maintained my independence.... The announcement affected him [Nzeogwu]. This is how I got involved in the government. Nzeogwu found it difficult to except my advice, though he realized it was already a fait accompli. I continued to talk..... I wanted him to fall in line, and quite suddenly he said to me, “If you say so I agree”. I told Ironsi that Nzeogwu had agreed. Later, I was ordered to Lagos and appointed [military governor] for the East, Fajuyi for the West, Ejoor for the Midwest, and Hasan Katsina for the North. Ironsi tried very hard to unify the country. Personally, I think he went too fast. Or rather, he delayed too long, and when he started he went to fast without explaining. If the unification of the country had been done within the first week of the coup, perhaps the popular impact and the enthusiasm [generated by the January 15 coup] would have carried it through. Subsequent events, however, clearly indicated that the violent reaction of Northern Nigeria could have been only a delayed action on that the North could never have allowed any form of unity which sought to broaden the Northerners national outlook and turn them into Nigerians. When Ironsi moved, he was quite willing to give a blank degree unifying everything. I resisted that quite a bit. Assets of the then Eastern region was seized. I maintained that we should get the constitutional proposals first agreed before the assets will put into the common pool. The North did not agree with me. After the July 29, 1966, mutiny, I tried to get Lagos on the phone. All efforts failed. When eventually I got Lagos, nobody was willing to tell me what was happening. At last I got and spoke to the next most senior officer in Lagos [Brigadier Ogundipe]. I said to Brigadier Ogundipe: “What are you doing? Get the Army together; don’t let it disintegrate”. He said it was very difficult because he could not get the soldiers to obey him. But I told him to take a risk and shout at them; to get on the air and say something to the country. “Tell them that you are the next most senior officer, you do not know where the Supreme Commander is, but you are trying to control the situation”. After a long time, he said “OK, I will do it”. When the statement was made over the air, it was a most supine statement. He said something like this: “Perhaps you do not know me, my name is Femi Ogundipe. I am trying to do my best”, and that was the end! This only added to the confusion. Again I got on the phone to Brigadier Ogundipe, who said, “These people [Northern Nigerian soldiers] want to go [secede]; they say they cannot stop killing people unless we allow them to separate”. I advised that if that would stop the bloodshed, he should let them go. On another occasion after this I tried once again to contact him on the telephone-I waited for nearly half an hour without success-the man had fled. Now what could I do? Luckily, both coups had not affected the then East. I thought of it, talked to Ejoor and even Katsina, but could not get any sense out of them. So I decided to phone Gowon. I rang him, but Mohammed [Colonel Mohammed] answered. He fetched Gowon, and as we were talking, it was quite clear a number of people [Northern Nigerian officers] were standing with them. Gowon could not answer any point unless he discussed it with the people standing around. I got this conversation taped. He insisted he was going to announce that his boys would only be satisfied if he took over, and I told him that he could do so, but not the East. “ If you want, as Chief of Staff, and only as Chief of Staff in Lagos, I will cooperate with you to enable you to stabilize the situation so that Ogundipe or whoever is next in seniority to him can assume power. He replied that the other governors had agreed with him to take over. He told me that he was going to make a statement at 7 o’clock. I phoned Ejoor; he was not very coherent, and he said that all this slaughter must stop and that he left me to do what I could to help the situation. When we found ourselves at Aburi, Ghana, it was our last chance. Those decisions at Aburi could have saved the situation, but again Gowon was very badly advised. He was very badly advised, though he was carried along by the way we all talked. My last statement to the group was: “ I know what is worrying you. We cannot solve this problem by hitting each other across the face. If we keep the agreements made here, Jack, I would probably ask this body to appoint you the Supreme Commander”. This you can ask General Ankrah. Gowon left his seat, came over to me, and embraced me. It was then Ankrah that said “All right, let us shake hands”. When we ended the meeting, and came out of the hall, Gowon and Ankrah and I sat in Ankrah’s car and there he took my hand and placed it on Gowon’s hand and said, “Both of you have got 56 million people to look after. If you keep to these agreements you will achieve peace; if you don’t, then whatever comes is your fault. You have seen the way, it is up to you. I suggested, “collect them, keep them, if I misbehave then publish it”. He agreed. The next day the publication was announced all over the world. I rang him and he explained it as a leak. I spent the whole day discussing with him how to punish the director of the Ministry of Information. That night, tuning the various radio stations, I discovered that the book was formally launched by ambassadors in London, Washington, and Ghana; it was not a leak! 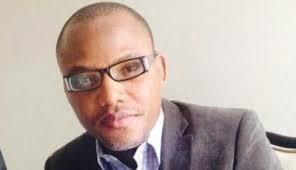 It was under these circumstances that Biafra was born. When it was born I made a statement and said it was going to be hard time. I thought possibly that Gowon would try after that to bring us together very quickly. Intelligence reports spoke about the massing of troops by Gowon on Biafra‘s borders. He declared war. There had been an opportunity to strike first, but I knew that no matter what our temporary advantage, eventually with the Nigerian resources they would be able to push us back. So it became very important to me that the world should know that I was not the aggressor. We fought well for six weeks; then we were at par. British help came to Nigeria, and then Russian. Attempts at subversion, and then the journey to the slaughterhouse resumed. This was a journey that started from the Northernmost part of the country and then slowly came to this place. It is not power I wanted. I initially came to this post as a routine military duty. Looking back at it, I do not think I had a choice. Each time I felt perhaps that I had a choice.